About 20 people stood in a rain-snow mix and cold temperatures Saturday morning above Vallecito Reservoir to call on Mark Redwine to be more active in the search for his son, Dylan, who has been missing since just before Thanksgiving. 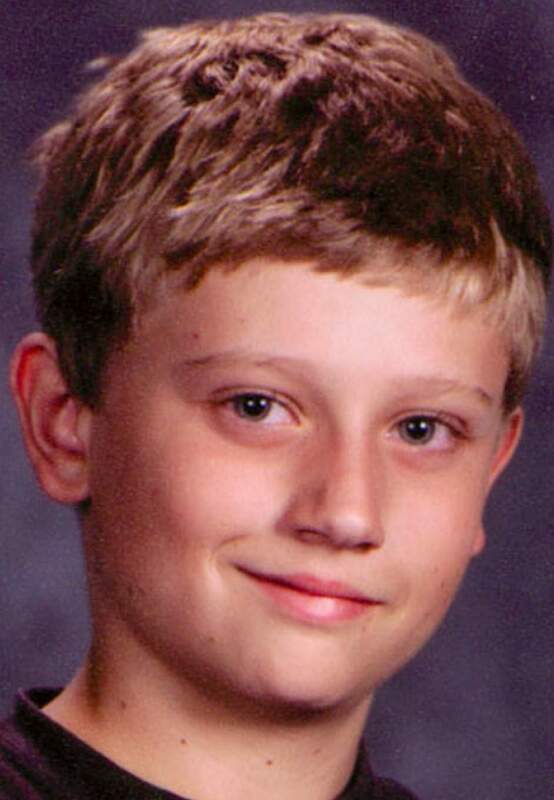 Dylan Redwine, 13, was reported missing from his fathers home on County Road 500 on Nov. 19. The boy had arrived the night before from his home north of Colorado Springs for a court-ordered visit. In a telephone interview Saturday, Mark Redwine took exception to the portrayal of him as disengaged from the search for his youngest son. I do a lot of things on my own, said Redwine, a truck driver. Among his other activities, every time I get (back) into Durango, I talk to other truck drivers to have them keep fliers in their rigs, he said. Thats counter to what is being alleged by Dylans mother, Elaine, and people like Bayfield resident, businesswoman and Redwine family friend Denise Hess. Hess has helped lead the public effort to find Dylan. Hess claimed that Mark Redwine has been much less involved in the various public activities than have Elaine and Dylans older brother, Cory, not to mention law enforcement and the general public. Its bizarre to me why Elaine and Denise would leave me out, he said. Im just as much affected by this as these two, he said. Ive responded to every text message shes sent me, but she wont pick up the phone ... and talk to me, he said. 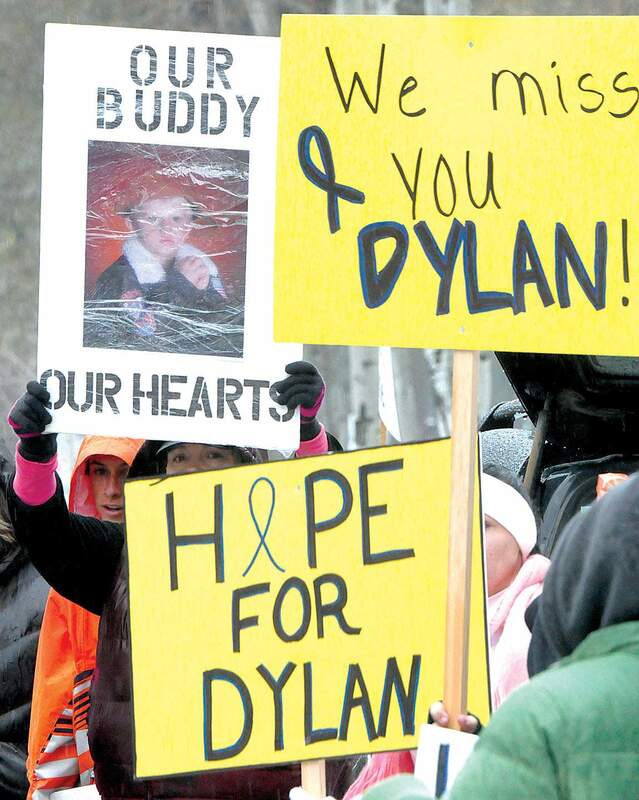 The other reason for Saturdays walk was to keep the search for Dylan in the news. 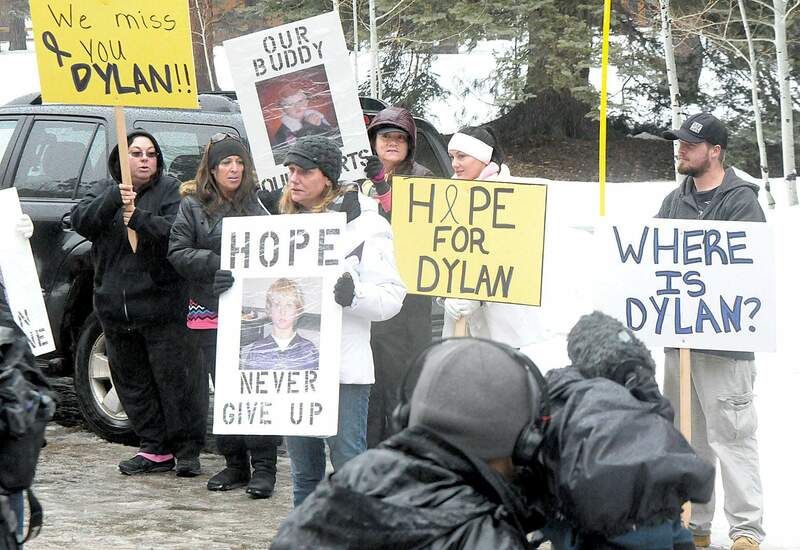 I hate public speaking, and I hate cameras, Hess said, but I want to bring Dylan home, a sentiment echoed by Cory Redwine, who also participated Saturday. Were just trying to keep his face out there and just never let it die down until he comes home, Cory Redwine, 21, said. Several members of the group, who stood on the east side of the road across from Mark Redwines house, held handwritten signs directed at him. The walkers included Kathi Barry, a political blogger from Evergreen. She saw the notice about a missing boy less than two months after the abduction and murder of 10-year-old Jessica Ridgeway. Jessica was kidnapped on her way to school Oct. 5. Her dismembered body was found five days later in a field in Arvada. Barry said she was bothered by Dylans disappearance and eventually decided she needed to come to the Western Slope to help. She has been to the area on weekends, has come to be close friends with Hess and gotten to know Elaine Redwine. But Mark Redwine said he couldnt understand Barrys motivation for being so negative toward him, saying that she argues with anyone who doesnt agree with her positions about what may have happened to Dylan. Jenna How of Durango said she has been following this from Day 1. They ran out of fliers during the first week, so I started printing for them. How works for Xerox and has access to a printer. He said law enforcement has searched Mark Redwines house and have gotten clues along the way, but so far, they have not revealed anything significant to the family. The La Plata County Sheriffs Office and the FBI met recently to review strategies as well as results from forensic tests by the Colorado Bureau of Investigation, according to a news release from sheriffs spokesman Lt. Dan Bender. No details were released. The senior Redwine said there is a history with Cory, but he said he thinks his sons anger toward him is reflective of his mothers hatred toward Mark. Redwine also said that all the online speculation wasnt helping the situation. Elaine Redwine, mother of Dylan Redwine, gives an interview Saturday afternoon while flanked by relatives and friends during a rally for Dylan across the street from the home of Dylans father, Mark Redwine, north of Vallecito Reservoir. Crime Stoppers is offering a $50,450 reward for information leading to the recovery of Dylan Redwine. Call 247-1112. A tip line has been set up with the La Plata County Sheriffs Office to collect information about the disappearance. The line is not answered but collects messages and is checked periodically. Call 382-7511. Tips can be left anonymously, but if the caller wants a reply, a callback number is needed. 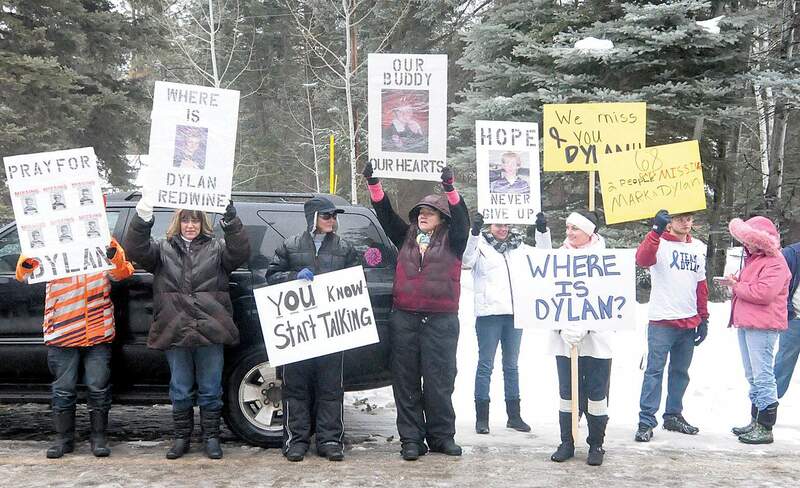 Relatives, friends, and supporters display messages of hope for Dylans return. Dylan Redwines mother, Elaine Redwine, fourth from right, and older brother, Cory Redwine, second from right, join friends, family and supporters for Saturdays rally. 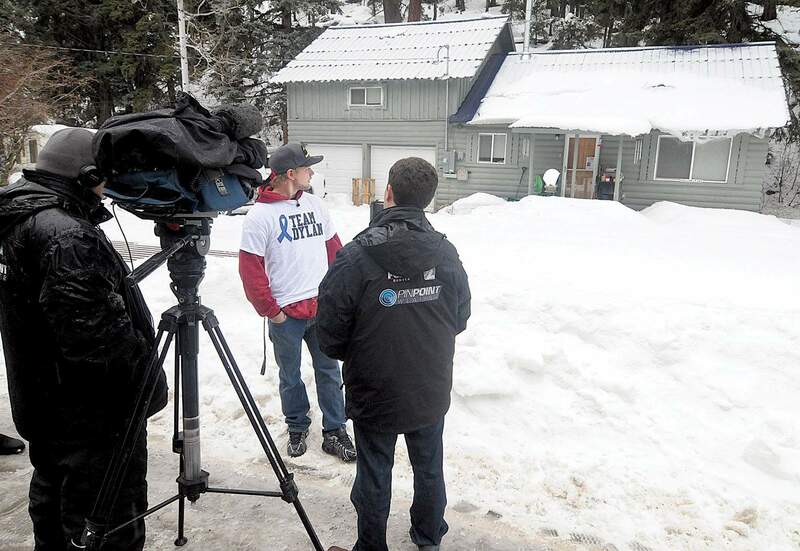 He was the last person to see Dylan, and I have questions that he has the answers to, said Cory Redwine said of Mark Redwine, Dylans father, during an interview in front of Marks house north of Vallecito Reservoir.